We welcome experienced drivers over 70 years of age. 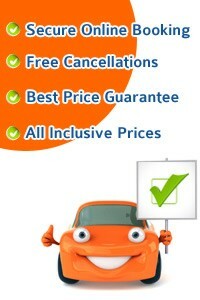 If you wish to hire a car and you are over 70 years of age or even over 75 we got the right car for you. 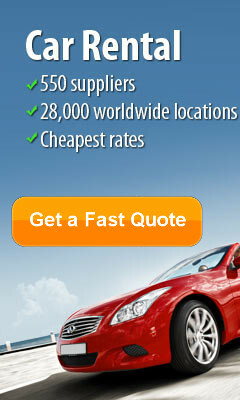 In fact you can rent a car up to 99 years of age with most suppliers when you book with us. As we deal with over 800 Car Rental Companies at 32,000 locations in 176 countries, the maximum age may vary from country to country. 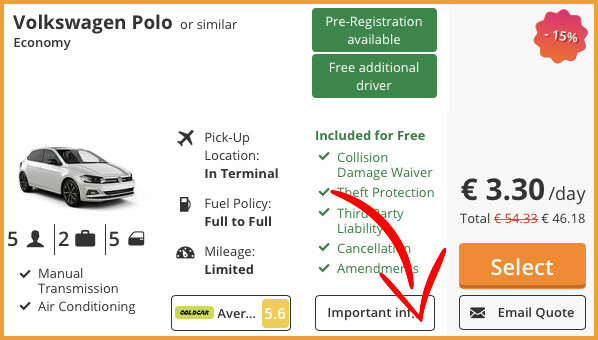 So after doing a quote select the car you like and then click on IMPORTANT INFORMATION, situated beside the logo of the car company. A new page will then open. Customers who fall outside the age limitations will not be able to hire a car. Please note that if applicable, this fee will be included in the rental price and will be payable on arrival at the rental desk in the local currency. 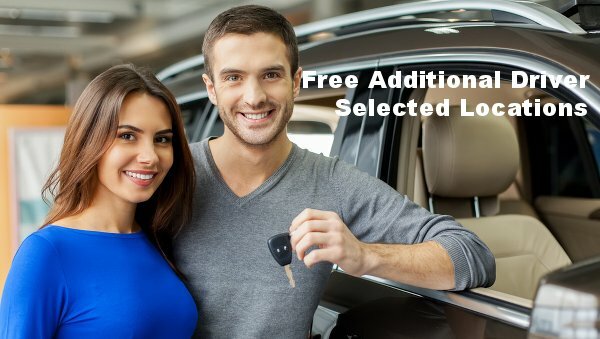 In the above example there is no additional fee for anyone over 25. It is only charged if you are between 21 to 24 years of age. Anyone over 99 and under 21 will not be able to hire a car.